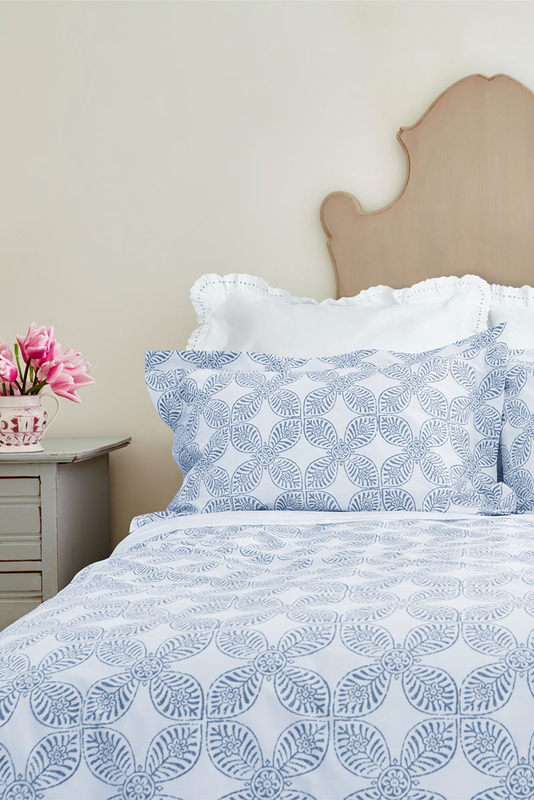 Bring your bedroom to life with our stylish Clarence bed linen collection. 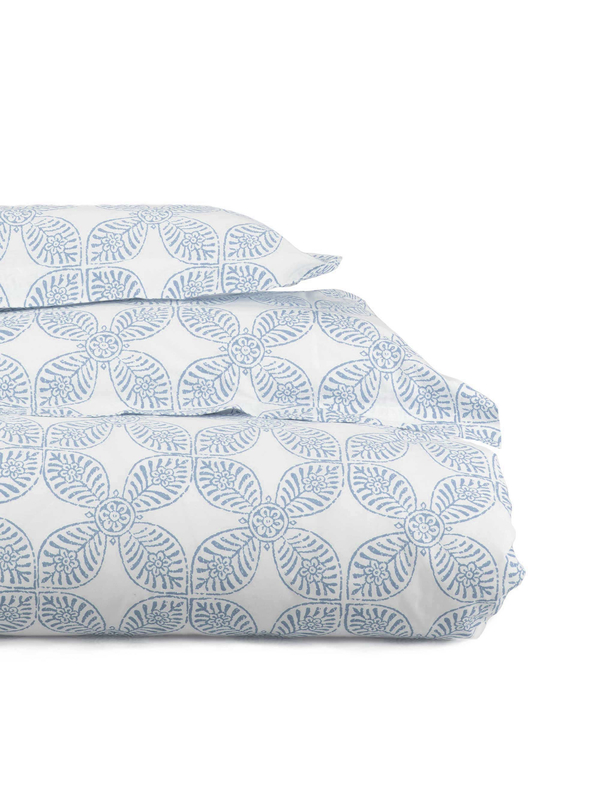 Made from superbly soft, pure white cotton, this bed linen has a soft blue floral print, perfect for classic and contemporary interiors alike. 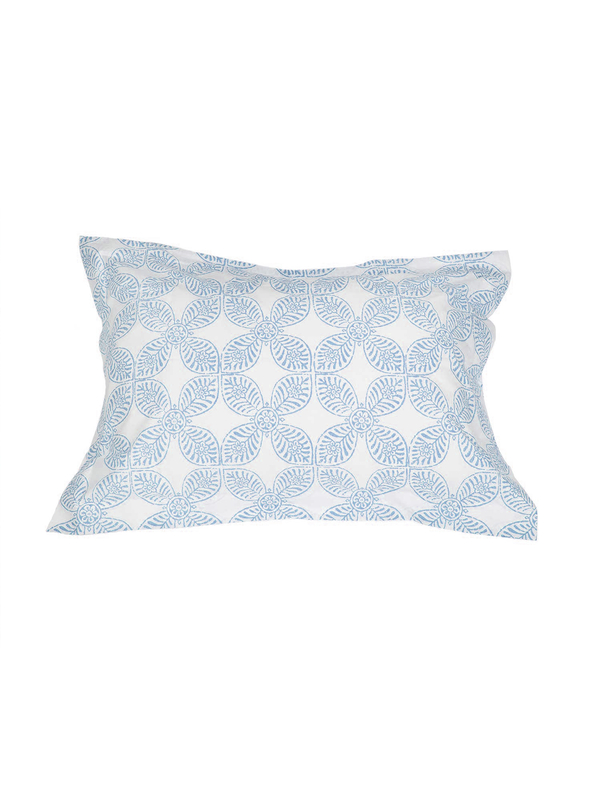 The subtle geometric pattern and touch of colour have a fresh simplicity, ideal for instantly lifting your scheme. 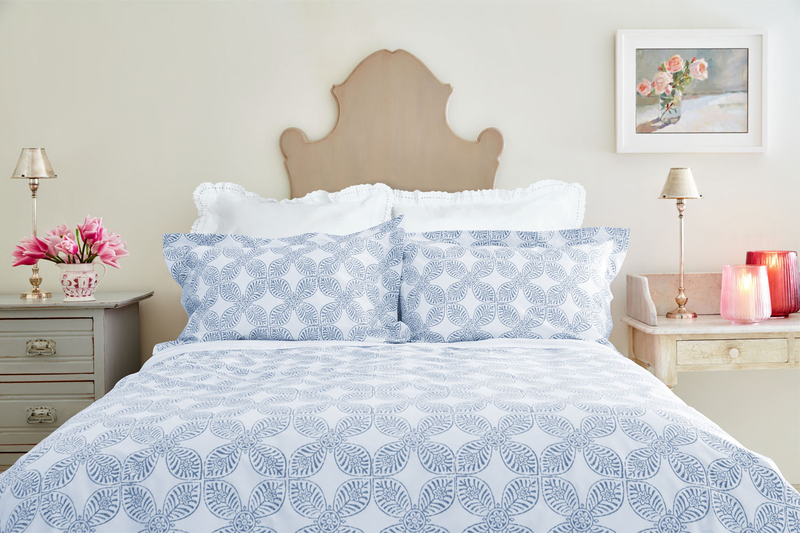 Finish with embroidered squares in plain white for extra comfort and a crisp, layered look.